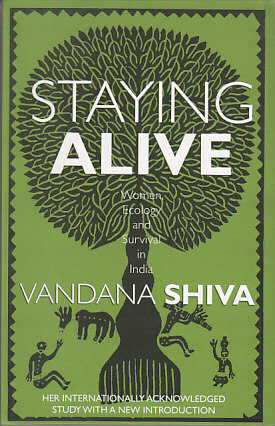 Shiva discusses the challenges that women in ecology movements are creating, and explores how their struggles constitute a non-violent alternative to dominant science, technology and development paradigms. Categories: Women Unlimited, Ecology, Economics, Gender, Women's Studies. Tags: 9788188965588, development, ecology, economics, gender, globalisation and women, Indian economy, Indian women, women's studies. Staying Alive is an internationally acknowledged study with a new Introduction. It takes up three related concerns – development, ecology and gender – and shows the intimate link between the degradation of women and of nature in contemporary society.